It’s time to make the most of the last of those summer rides this month, and what better way to do it than a new race suit. MCA Leicester has five to choose from in their August sale. The Dainese offers innovative 2Skin construction combined with Microelastic and bi-axial inserts to give you the greatest agility on the motorcycle but also a second skin style fit, which is required. At this it’s a highly technical suit offered for a great price. This stylish suit combines good functionality with the high quality protection that you would expect from an Alpinestars product. 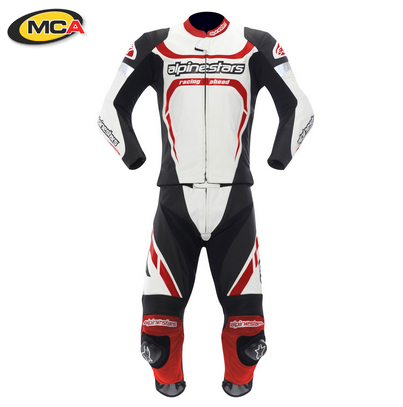 Ideal for the street rider who wants maximum style, protection and functionality, it also appeals to the rider who wants to do the occasional track day as this suit comes with a full connection zip. 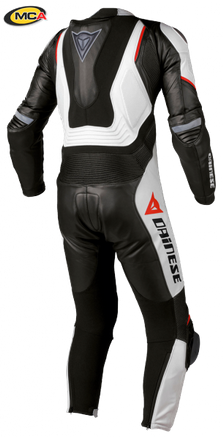 One of Dainese’s most technologically innovative and high-spec race suits, built using special DSkin leather. It comes with patented race features such as bi-axial stretch panels, removable NanoFeel liner and external shoulder protectors. 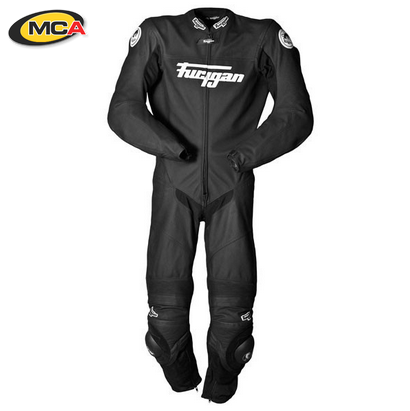 Perfect for the rider that’s looking for an understated race suit that still offers a good level of protection. With an easy tailored fit and D30 armour, it’s made of 1.4mm water repellent, race spec Brazilian cowhide. 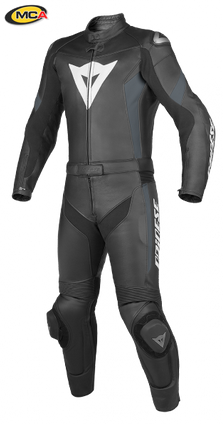 A typical Dainese suit that offers a very tailored fit. It comes with full composite CE approved protectors throughout and external alumimium shoulder protectors to offer the rider increased protection. 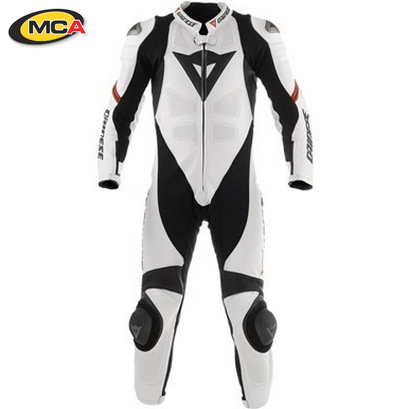 This suit offers the rider a high level of comfort and protection, and the usual Dainese build quality, for not a large sum of money.